Thundershowers overnight following a period of rain early. Low 44F. Winds NNE at 10 to 15 mph. Chance of rain 90%..
Thundershowers overnight following a period of rain early. Low 44F. Winds NNE at 10 to 15 mph. Chance of rain 90%. 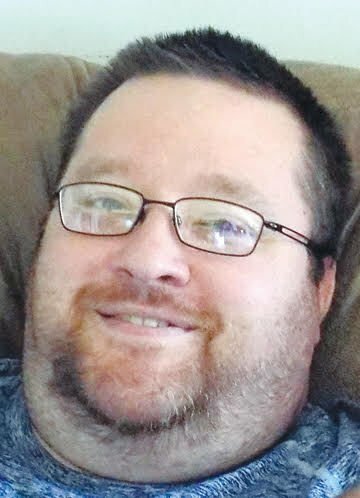 Jeffrey Michael Ricketts, 37, of Sidehill Road, North East, Pa., and formerly of Corry, passed away Wednesday, April 3, 2019, at his home. He was born Aug. 29, 1981, in Corry, Pa., a son of George I. and Martha G. Davis Ricketts of Corry, Pa.
Jeff was raised and educated in Corry and graduated from Corry Area High School in 2000. He first attended Mercyhurst College before attending and graduating from Indiana University of Pennsylvania with a master’s degree in Criminal Justice. He worked for a short time as a social worker for Sarah Reed and Stairways Behavioral Health. Around 2011, Jeff became a probation officer for Erie County where he worked until his passing. He enjoyed helping coach North East Rec Basketball, watching football, hunting and reading fantasy books. Most important to Jeff was spending time with his children. Jeff was preceded by his paternal grandparents, James Ricketts and Jean VanKeuren; and his maternal grandmother, Twila Davis. In addition to his parents, Jeff is survived by is maternal grandfather, Dilworth “Pick” Davis Jr.; his wife, Chelsey J. Hummel Ricketts, whom he married May 27, 2006, in Youngsville, Pa.; three children, Madison Ricketts, Layton Ricketts and Titan Ricketts, all at home; two sisters, Nicole Higby and her husband, Ellis, of Corry, Pa., and Tamara Carney and her husband, Bryan, of Wattsburg, Pa.; and a brother, Daniel Ricketts and his wife, Nicole, of Allison Park, Pa. He is also survived by many aunts, uncles, nieces and nephews. Family and friends may call at Christian and Missionary Alliance Church, 721 Hatch St., Corry, Pa., on Monday from 5 to 7 p.m. and Tuesday from noon until the time of the memorial service there at 1 p.m. The Rev. James Moffett will officiate. Memorials may be made to the Epilepsy Foundation, 919 Walnut St., #700, Philadelphia, PA 19107-5237; or online at www.epilepsy.com; National Law Enforcement Officers Memorial, 901 E. Street NW Suite 100, Washington, D.C. 20004-2025; or online at www.nleomf.org. ; or American Foundation for Suicide Prevention, 120 Wall St. 29th Floor, New York, NY 10005; or online at www.afsp.org. To sign the guest book or send condolences, please visit www.brackenfh.com.